Been eyeing the market for one of these cars. I've seen a number of lower mileage (100k or less) autos for sale, but the 6MT cars are mostly higher mileage vehicles. That and the listings are absurdly expensive for the miles. Lower miles is pretty important to me. So I got to thinking...I saw some retrofits on here adding SMG wheels to autos. How is it? Considering how often I sit in traffic, this is starting to get me thinking about buying a cheap low miles auto and adding an SMG wheel to have some fun when I want but not have to shift in bumper to bumper traffic. Of course, it's still not a MT. Then I was thinking about how hard a swap would be. I googled and didn't find a whole lot, except posts of people saying to just sell and buy a MT car. Those posts are older and not sure they are taking into account the fact that 6MT listings I've seen are adding a good 4-5k on list price over autos. Is the swap hard? Cost? (Can't be 4-5k). I see ZHPs for parts listed around, so the parts must be obtainable. Just throwing this out there for opinions. If you want an MT then just be patient and you'll see one for a reasonable price. Yes, they fetch more than an auto, but the difference isn't much when it's priced correctly. Jan/Feb is just a hard time to find a good used car. After having driven an auto with the paddles installed, I can say that the paddles definitely make it easier to shift, and if I had an auto, I would definitely retrofit the paddles. With that said, the auto isn't very fast to respond to your request, so it's really up to your patience level and how fast you need it to respond. You should give it a good second to react and process your shift request from the time you press it to the time it's in gear. Overall, totally fine for street driving, but not precise enough for track work. That's what I was wondering. I've played around with the 540 sport shifting and it's ok. At least I can command a gear. But nothing like a MT in terms of speed. 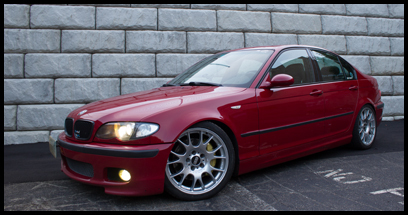 Yeah its an E39 540. I wouldn't say it's slow, but not quick either. I'm probably more concerned about the abuse that would put on the auto vs a manual. Well... define abuse. Unless you're doing neutral drops, I don't think it would be an issue. I put paddles on my steptronic (I think the 2nd one on the Mafia). Not hard at all to do, makes it more fun to drive, but night and day from a manual. The response is not instant, as BP said. I have reasons for an Auto (L.A. traffic, etc. ), if you don't have a specific reason I would 100% get a manual. I love my 5-speed Triumph so thank goodness I get my shift kicks in. Great topic! My auto trans just failed. I decided to replace with a used auto for a cost of $3K. Converting to manual was a thought that didn't quite get to be an option. I could't find a shop with experience in the conversion. Jason from shoplifetv (youtube) channel has a "DIY - parts needed" video, but couldn't reach him to validate overall costs and timing. Others have mentioned the electrical / programing tasks involved and.. the thought was squashed. I can tell you what I would do in your position, but I would need to know WHY you really want a manual. So.. what is your reason(s)? 2003-2005 Auto/Paddle/Shifters - How to tell?